A synthetic, soft tissue retina was just developed by an Oxford University student that could offer fresh hope for degenerative eye conditions such as retinitis pigmentosa. Until now, all artificial retinal research has used rigid, hard materials only. The new research, by Vanessa Restrepo-Schild, a 24 year old PhD student and researcher at the Oxford University, Department of Chemistry, is the first to successfully use biological, synthetic tissues, developed in a laboratory environment. Her study could revolutionise the bionic implant industry and development of new, less invasive technologies that closely resemble human body tissues. Just as photography depends on how camera pixels react to light, our eyesight relies on how our retina cells (made up of proteins) convert signals into electrical pulses. Real retinal cells transmit those pulsess to nerves in our brain, ultimately building a picture of the scene being viewed. "Synthetic material can generate electrical signals — which stimulate neurons at the back of our eye just like the original retina." Vanessa Restrepo-Schild, postdoctoral candidate, Chemistry Research Laboratory, University of Oxford, Oxford, UK. Restrepo-Schild, native of Columbia, and team leader. The team developed a new synthetic, double layered retina which closely mimics the natural human retinal process. It consists of soft water droplets (hydrogels) and biological cell membrane proteins. Designed like a camera, the cells act like pixels, detecting and reacting to light, in order to create a grey scale image in neurons of our brains. The study, published in the journal Scientific Reports, shows how unlike existing artificial retinal implants, these cell-cultures are created from natural, biodegradable materials that do not contain foreign bodies or living tissues. The implant is less invasive than a mechanical device, so less likely to create an adverse reaction. "The human eye is incredibly sensitive, which is why foreign bodies like metal retinal implants can be so damaging, leading to inflammation and/or scaring. But a biological synthetic implant is soft and water based, so much more friendly to the eye environment." Although at present the synthetic retina has only been tested under laboratory conditions, Restrepo-Schild wants to explore its potential with living tissue. This next step is vital in knowing how her new material performs as a bionic implant. Restrepo-Schild has filed a patent for the technology. The next phase of her work will see the Oxford team expand the retina's function to include recognising different colors. Working with a much larger replica, the team will test the material's ability to recognise different colors and potentially even shapes and symbols. Looking further ahead the research will expand to include animal testing and then a series of clinical trials in humans. "I have always been fascinated by the human body, and want to prove that current technology could be used to replicate the function of human tissues, without having to actually use living cells. I've taken the principals behind vital functions, e.g. our sense of hearing, touch and the ability to detect light, and replicated them in a laboratory environment with natural, synthetic components. I hope my research is a first step towards building technology that is soft and biodegradable instead of hard and wasteful." We have created a 4 × 4 droplet bilayer array comprising light-activatable aqueous droplet bio-pixels. 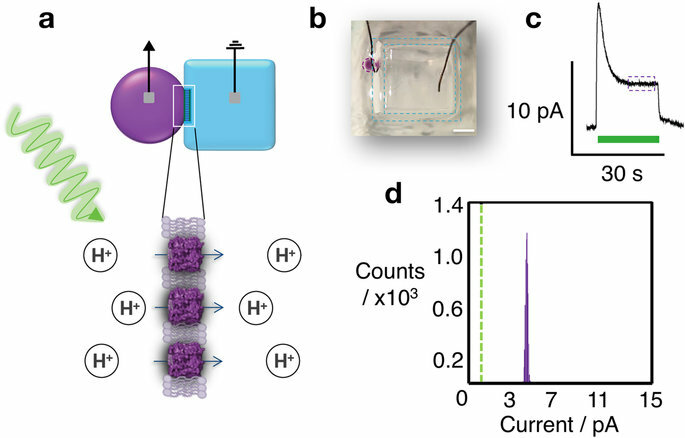 Aqueous droplets containing bacteriorhodopsin (bR), a light-driven proton pump, were arranged on a common hydrogel surface in lipid-containing oil. A separate lipid bilayer formed at the interface between each droplet and the hydrogel; each bilayer then incorporated bR. Electrodes in each droplet simultaneously measured the light-driven proton-pumping activities of each bio-pixel. The 4 × 4 array derived by this bottom-up synthetic biology approach can detect grey-scale images and patterns of light moving across the device, which are transduced as electrical current generated in each bio-pixel. We propose that synthetic biological light-activatable arrays, produced with soft materials, might be interfaced with living tissues to stimulate neuronal pathways. Notes to editors: The full paper 'Light-Patterned Current Generation in a Droplet Bilayer Array' By Vanessa Restrepo Schild, Michael J. Booth, Stuart J. 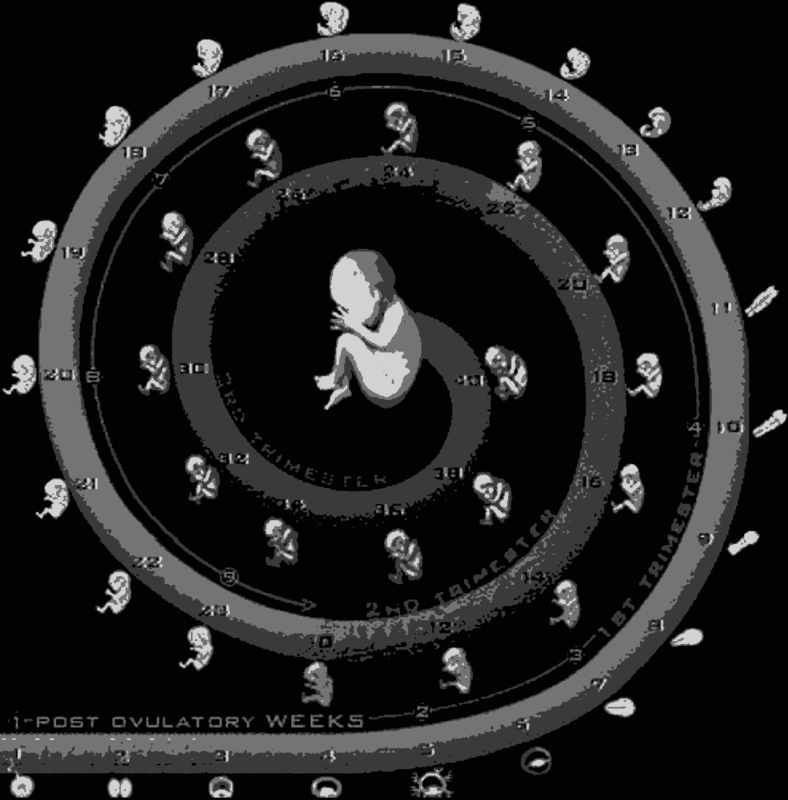 Box, Sam N. Olof, Kozhinjampara R. Mahendran and Hagan Bayley is available to download from the journal Scientific Reports. solution, a bR-containing droplet (purple) forms a bilayer with a hydrogel cube (blue). (c) Ionic current activativated only upon illumination. Purple box indicates a steady-state current. the steady-state current was above a 1 pA cutoff (vertical dashed green line). Scale bar 1.5 mm.